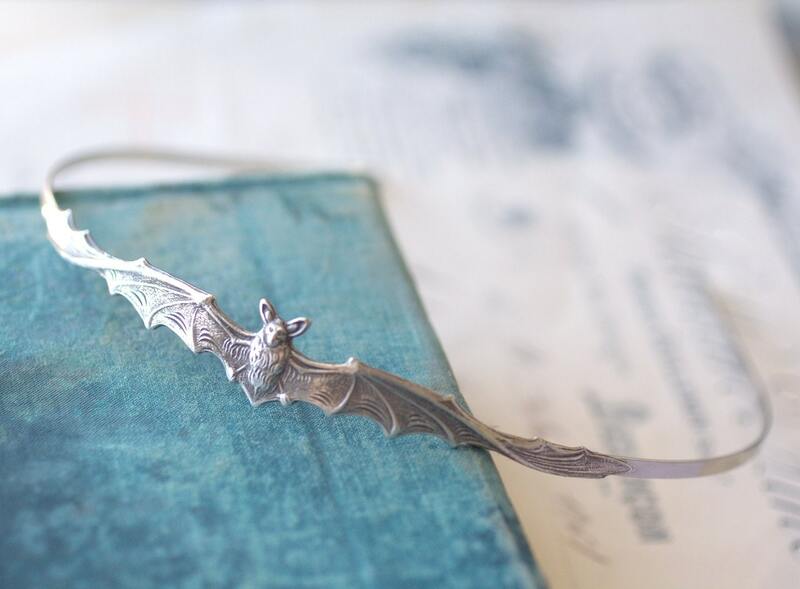 Antique Victorian style silver finish vampire bat headband. The bat is centered on the top of the band and measures 4 3/4" (120mm) long by 5/8" (16mm) wide. The bat has been securely torch soldered, not glued, to the band. Perfect for my daughter, who loves Halloween! It is delicate and, although she does not ordinarily wear headbands, she loves this one. This was perfect, thank you!